of medical professionals in diagnosing and treating the diabetic patients is the lack of understanding of the disease, which usually leads to problems with treatment compliance and monitoring. There is strong evidence to show that an effective intensive glycemic control reduces various microvascular and neuropathic complications of diabetes mellitus. The Diabetes Control and Complications Trial (DCCT) showed that the intensive glycemic control prevented diabetic complications in type 1 diabetic patients, and the HbA1c levels reduced by 1.5–2.0%. In the UKPDS study, a modest improvement in HbA1c (a difference of 0.9 %) in the intensively treated group than in the control group brought about a 25% reduction in microvascular complications and a 12% reduction in all diabetes related events. 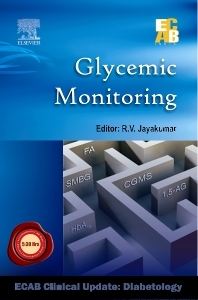 There are several methods with differing utilities and limitations existing for monitoring glycemic status in individuals. Diabetes care in India leaves much to be desired and suggested, and there is a need for efforts to increase awareness of both the patients and the doctors for better treatment and monitoring.